The 4th AVCJ ESG Forum successfully took place in Hong Kong on 12 November 2018. The event bought together over 120 private equity professionals including 45 LPs representing 85 different organizations from 17 countries. The conference, which focused on insightful and practical discussions on how ESG principles can be best integrated into private equity portfolios, was kicked off by an opening panel session on the drivers for ESG in Asian private equity, and featured leading executives from KKR, ERM, and TPG speaking on a number of selected and well-researched topics including the role of private equity in delivering the UN Sustainable Development Goals, LP perspectives on responsible investment, tackling carbon reduction and climate change from a private equity perspective and ESG reporting and engagement in practice. ERM is the global market leader in the provision of Environmental, Social, Governance (ESG) related consulting services to a client base of over 100 GPs and LPs on a consistent and regular basis. ERM's holistic service offering covers the full breadth of a Private Equity (PE) firms’ ESG needs across the investment life cycle, including GP-level policies, procedures and reporting, ESG due-diligence (acquisition and vendor), Task Force on Climate-related Financial Disclosures (TCFD), portfolio company value protection and value creation strategies, ESG compliance and risk management. ERM has unrivalled capabilities and senior expertise including 20+ Partners focusing on PE globally, and over 4,900 specialists across 45+ markets to draw from, covering a full spectrum of technical service and sector specialists. We are committed to creating value for our clients by providing strategic and technical advice in the business context. Our outputs comprise bankable reports, as a highly respected ESG adviser to lenders and pension funds, which rely comfortably on ERM's findings. Our 500+ PE assignments a year have helped ERM build a reliable reputation amongst PE practitioners globally. Sustainability is at the heart of the services ERM provides and how we operate our business. 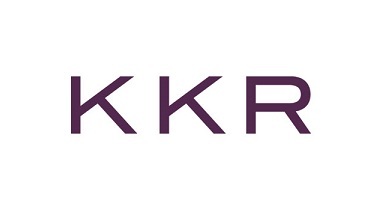 KKR & Co. Inc. (NYSE: KKR) is a leading global investment firm that manages multiple alternative asset classes, including private equity, growth equity, energy, infrastructure, real estate and credit, with strategic manager partnerships that manage hedge funds. KKR aims to generate attractive investment returns for its fund investors by following a patient and disciplined investment approach, employing world-class people, and driving growth and value creation with KKR portfolio companies. KKR invests its own capital alongside the capital it manages for fund investors and provides financing solutions and investment opportunities through its capital markets business. For additional information, please visit us on Twitter @KKR_Co. 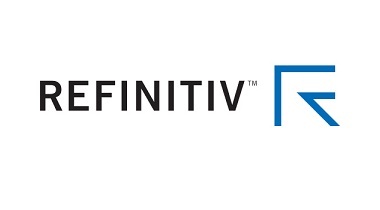 Refinitiv is one of the world’s largest providers of financial markets data and infrastructure, serving over 40,000 institutions in over 190 countries. It provides leading data and insights, trading platforms, and open data and technology platforms that connect a thriving global financial markets community - driving performance in trading, investment, wealth management, regulatory compliance, market data management, enterprise risk and fighting financial crime. Richmond Global Compass Capital, LP is the first-ever sustainability focused global multi-asset fund employing machine learning to extract material metrics in Environment, Social, and Governance. The firm is led by experts in international sustainability, global macro investing, data science and risk management with proven track records at firms such as 3G Capital, Verde Fund, Richmond Global Ventures, Endeavor and Goldman Sachs. The firm is dedicated to the positive impact of ESG investments on performance and profitability. As signatories of the United Nations Principles for Responsible Investing (UN PRI), the team is committed to responsible investments with the goal of enhancing returns, managing risks, and ultimately benefitting the environment and society as a whole. Compass seeks to achieve its investment objective by assessing investment and trading opportunities across global asset classes such as equities, credit, currencies, rates and commodities and allocating capital to strategies believed to offer the most attractive risk-adjusted returns. Artificial intelligence identifies material ESG datasets to integrate into fundamental analyses of a given corporate or sovereign asset class. The Compass Fund Founders’ Shares ended its first year of trading in May 2018, returning 12.95% net against the HFRX HF Index benchmark of 2.88%. Its second fiscal year to date returned 2.78% v. 0.11% for the HFRX HF Index. It also outperformed the longest equities bull run in history. It is now officially open to outside investment as a global multi-asset ESG Fund aiming to deliver a new level of return and sustainability benefits.